Welcome to the ProbioticsDB.com. We’ve dedicated ourselves to providing you, the consumer, with the most up-to-date information regarding probiotics. Many people today suffer from irritable bowel syndrome, diarrhea, constipation and other GI problems. Probiotics may be beneficial for these GI problems and for overall gastrointestinal health. Probiotics come in all sorts of shapes and sizes, colors and doses. There is a lot of information out on the internet. Based on our research there are a number of criteria that your probiotic should fulfill. We analyzed probiotics according to the three following criteria. How many CFUs? (How Much Probiotic? Most studies have shown that doses above 10 (Colony Forming Units) to be effective. Lower doses may not be as effective as higher doses. One meta-study (a study of studies) found that a dose of 10 billion CFUs was helpful in reducing the duration and amount of diarrhea in children. Probiotics are measured by CFUs (Colony Forming Units), not weight! Based on this finding we commonly recommend probiotcs that have a dose >10,000,000 CFUs (10 billion). There are some probiotics with hundreds of billions of CFUs. Most probiotics have just 1 probiotic in their formula. However, scientists and doctors are now starting to believe that each probiotic has different beneficial properties when studied individually. When these probiotics are combined to form a multi-probiotic they tend to have even greater beneficial effects. For example, one study found that multi probiotics were able to inhibit the growth of bad bacteria more than single probiotics. 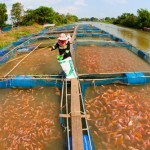 Modern industrial agriculture and pisciculture relies on growing plants, animals, and fish with tons of added antibiotics and pesticides. 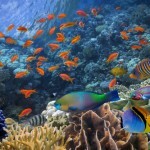 A diverse ecosystem is more resilient than one with just 1 organism. These organisms are growing without added pesticides or antibiotics. Multi probiotics have the benefit of competition against bad bacteria via multiple mechanisms. Since each individual probiotic has specific defense mechanisms, having more beneficial competing against each other and against bad microbes is ultimately better. Each is slightly different and is a member of different microbial family. When you take a multi probiotic it helps to restore this normal balance of microbes in your gut. Most probiotics we’ve analyzed contain only lactobacillus which is a normal gut inhabitant. A few contain Enterococcus probiotics. Only two had Lactobacillus and Enterococcus together. None had any of the other species. Is there protection from stomach acid? Anything you eat goes down your throat and into your stomach. The stomach is the place in your gastrointestinal tract which physically breaks down food using mechanical motion and stomach acid. Probiotics you consume are also exposed to this digestive process. Ideally the probiotic you should take would utilize some kind of delayed release or enteric coating to protect the probiotics inside from stomach acid. However, even though a product might not have a protective mechanism there are some strains of probiotics that are acid resistant such as Saccharomyces boulardii, Bacillus, and some lactobacillus species. They are able to resist stomach acid by hibernating in spore form. These are called spore-forming probiotics and they are a lot hardier than some of the other probiotics. An enteric coating is an acid-resistant material that is put onto capsules and pills to prevent them from being broken down by stomach acid. It delays the breakdown of pills until the pills get the the small intestine where stomach acid is neutralized. Be careful though. Enteric coatings come in all sorts of types. Most pharmaceutical companies choose some kind of enteric coating as they can be applied to both capsules and tablets. There are concerns that some coatings are made out of pthalates or plastics that have effects on the endocrine system. Make sure the enteric coating on your probiotic is pthalate-free. 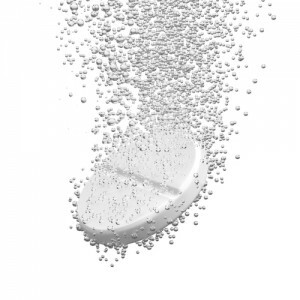 Tablets and pearls are produced by blending all the components of the probiotic together and then compressing them under enormous pressures. The compression process may damage probiotics so make sure that they are still viable. One other downside is that typical tablets do not protect the probiotics inside from stomach acid. There are several mechanisms by which companies use to protect the probiotics inside. Some utilize a gelling compound to help prevent stomach acid from dissolving the tablet too quickly. Our friends at Labdoor.com has tested the potency of probiotic pearls and found that they are less potent than other delivery forms. Nexabiotic is a probiotic supplement that contains 17.25 billion cells of 23 probiotic strains in an enteric-coated capsule. 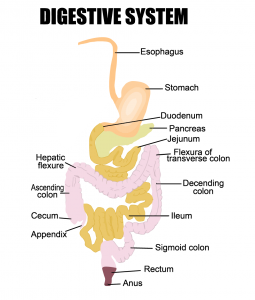 Capsules are easily dissolved by the digestive juices of the stomach. Unprotected capsules will expose the probiotics inside to stomach acid. However, Nexabiotic’s capsules are enteric coated to prevent release of the probiotics inside until the intestines. 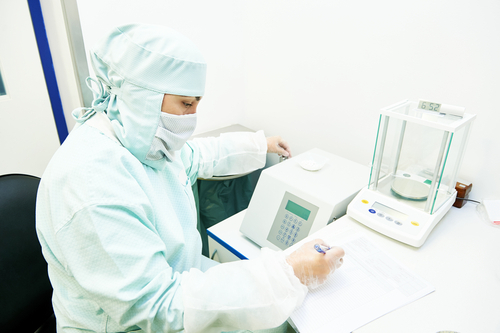 The 30-billion CFU count includes 23 strains at an undisclosed amount of each strain. Nexabiotic has no dyes or artificial ingredients we are aware of. Nexabiotic has the highest number of strains out of the products we’ve come across but not the highest dose (CFUs). Prebiotics Prebiotics are food for probiotics. Nexabiotic includes maltodextrin prebiotic. Number of Probiotic Strains There are thousands of different kinds of organisms living in your colon. 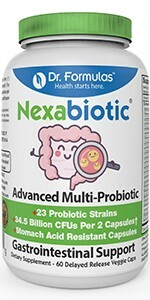 Nexabiotic has 23 probiotic strains including S. boulardii, L. acidophilus, and B. infantis. Number of CFUs (in billions) CFU stands for Colony Forming Unit which is representative of the number of organisms in the product. Nexabiotic has 17.25 billion CFUs in 23 strains. Enteric Coating Digestive juices can destroy probiotic organisms. An enteric coating or delayed-release system that releases probiotics in the colon may help keep them alive. Nexabiotic capsules have an enteric coating. No artificial coloring or dyes Nexabiotic does not have any artificial dyes or coloring. Kefir is a European yogurt drink that is made from milk and “kefir grains” which are probiotic yogurt bacteria that thrive in acidic conditions. Kefir is a sour yogurt beverage that contains the most probiotic strains out of any other yogurt that we’ve analyzed. Lifeway Kefir contains 12 active probiotic strains: Bacillus lactis, Lactobacillus lactis, Streptococcus florentinus, Streptococcus diacetyllactis, Lactobacillus acidophilis, Bifidobacterium longum, Lactobacillus casei, Lactobacillus, reuteri, Lactobacillus plantarum, Lactobacilus rhamnosus, Bifidobaterium breve, and Leconostoc cremoris which is even more than some probiotic pills! Yogurt is effective at delivering probiotics only if those probiotics are resistant to stomach acid. The stomach is more acidic on an empty stomach than a full stomach so we recommend eating yogurt with a meal. Lactobacilli are generally stomach-acid resistant because one of the products they make is lactic acid. Lifeway Kefir claims to have 15-20 billion CFUs of probiotic in the entire bottle at the time of manufacture. There is some time between when the product is manufactured and when it is actually consumed there should be even more probiotic than is claimed. What you get with this product is actual live probiotic since they are able to grow in the probiotic yogurt. It is also refrigerated. All the ingredients of Lifeway Kefir are safe and natural. No artificial sweeteners are utilized. 5 stars. We like the number of strains of this great tasting probiotic beverage. Prebiotics Prebiotics are a food source for probiotics. Without a food source, probiotics will not establish themselves in your GI. Yogurt contains simple sugars that probiotics can utilize as food. Number of Probiotic Strains There are thousands of different kinds of organisms living in your colon. Some are more helpful than others.Some probiotic organisms are more helpful that others.Every probiotic product should have S. boulardii and L. acidophilus. A good probiotic supplement will have more probiotic strains. Stonyfield Organic Yogurt only has 6 strains, 1 of which will not survive past the stomach. It does not have S. boulardii or L. acidophilus. Number of CFUs (in billions) CFU stands for Colony Forming Unit which is representative of the number of organisms in the product. A higher CFU means more organisms can be delivered to the gut. The number of CFUs is not disclosed. Enteric Coating/Stomach Acid Resistant Probiotics Used Digestive juices will destroy many probiotic organisms. Lifeway Kefir utilizes probiotics that are acid resistant and thrive in the sour environment of Kefir. No artificial coloring, dyes, or sweeteners. Acesulfame increases the risk of artherosclerosis. Lifeway Kefir does not have any artificial dyes or coloring. Ingredients: PATEURIZED CULTURED LOWFAT MILK, NONFAT MILK, CANE SUGAR, PECTIN, NATURAL STRAWBERRY FLAVOR, NATURAL FLAVORS, RED BEET JUICE (FOR COLOR), VITAMIN A PALMITATE, VITAMIN D3. ProbioticsDB.com’s mission is to provide the public with concise, clear, and unbiased information regarding probiotics. We strive to provide you with information that’s easy to understand and easy to interpret. We want to help you make an informed purchasing decision. Please support us by purchasing products using the amazon.com buttons! Cornelius W. Van Niel, Chris Feudtner, Michelle M. Garrison, Dimitri A. Christakis. Lactobacillus Therapy for Acute Infectious Diarrhea in Children: A Meta-analysis. Kenneth Todar (2012). “The Normal Bacterial Flora of Humans”. Todar’s Online Textbook of Bacteriology. Retrieved June 25, 2016.